Do You Use Topo Maps? Energy. In the mountains it means everything. You have to have enough to get the job done and you have to conserve it every chance you can. That is what led me to using topographic maps in order to locate and kill big-woods bucks. Scouting acres of steep, rocky terrain isn’t easy. In fact, a lot of energy can be burned just getting to an area and then realizing it probably isn’t worth hunting. After repeating this process several times and coming up with nothing more than sore legs and busted lungs, I decided there had to be a better, more streamlined approach to locating good big-woods hunting spots. That’s when topo maps came into the picture. When first viewed, a topo map may look like nothing more than a bunch of lines running in different directions with no real rhyme or reason. However, all of those lines, better known as contour lines, are the key to understanding how a particular piece of land lays without ever stepping foot on it. Technically speaking, a topographic map is a type of map characterized by large-scale detail and measureable representation of relief, usually using contour lines. To put it plainly, a topo map will show you how the land lays, how steep the terrain is and where pinch-points and saddles are located. When viewing a topo map, it is best to imagine you are looking at the terrain straight down from above. It will feel overwhelming the first time you try to understand what all of those Contour Lines mean. However, once you realize what they represent you will have no problem at all locating potential hunting spots. First, you need to know what the term “contour interval” means. This is the difference in elevation between successive contour lines. In other words, wide spaces between all of those contour lines will signify a gentle slope and gradual elevation in the terrain. On the other hand, contour lines that are squeezed really close together indicate steep terrain and abrupt elevation change. For hunting purposes, try to think of both in terms of “positive” and “negative” terrain features. Steep is negative and gentle is positive. 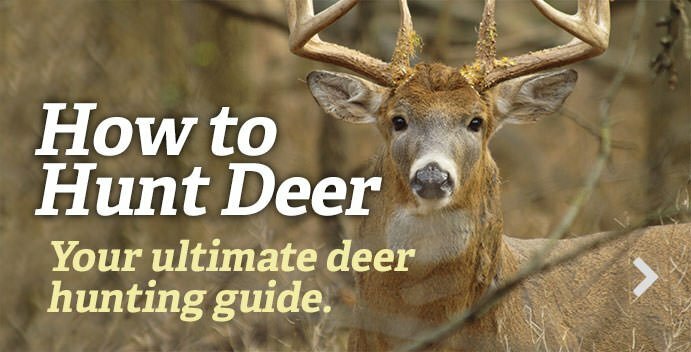 Once you do that, it’s time to think about how deer react to negative and positive terrain. Whenever I look at a topo map and I see widely spaced contour lines over a large area I don’t really get too excited about hunting that particular spot. Sure, the walking will be easy but predicting deer movement will be much more difficult. But why? Well, I’ve found that without some sort of terrain feature to “squeeze” deer movement into a certain spot they are apt to walk anywhere. And, if you are using a close range weapon such as a bow or crossbow then you need to get as close as possible to your target animal. Gently sloping terrain just doesn’t help predict where an animal is going to walk. However, the spot where gentle terrain meets up with harsh terrain can help foretell deer movement. When positive and negative terrain collide you get what is typically known as a “funnel” or “pinch-point.” This is nothing more than an area that uses terrain features to pinch deer movement into a more predictable location. Deer are lazy by nature and will take the path of least resistance as long as it keeps them safe. In the mountains, this becomes even more prevalent because nothing about the mountains is easy. When a mature mountain buck finds a travel route that is easy to walk while still keeping him safe, it is a good bet he is going to use it. The point of this entire article is understanding how to locate such spots on a topographical map so you don’t spend countless hours looking for them on foot. Only after potential areas are found on a map should time be used to further investigate. By now you should have a good understanding regarding the value of funnels and pinch points. However, locating them on a map with thousands of lines going in hundreds of different directions is another thing. So, let’s break down what different types of funnels and pinch points might look like on a typical topographic map. Let’s start with a funnel that is created when steep and gentle terrain collide. The reason I like this is because it is very easy to locate on a map and if deer are moving through the area then you can bet they are already using this funnel. I like to set up where the steep terrain begins to turn into a gentle slope. Deer moving through the steep portion will inevitably work their way toward the gentle slope; especially if it is the only one around. Oftentimes in the mountains this funnel can be found near the top of steep drainage ditches (or hollows). Years of water runoff has left an abrupt cut down the center of the mountain. Both sides are typically steep and rocky and offer tough travel for deer. However, near the top the terrain will begin to get easier to traverse; leveling out quite a bit. Deer looking to make their way across this drainage ditch will typically cross near the top where the landscape provides easier travel. Hanging a stand there can be dynamite especially if there are does bedded somewhere nearby. Getting from one side of the mountain to the other becomes a lot easier for the deer that uses a saddle. This is nothing more than a low point along a ridge top. Think of it as a horse saddle. You will have a high point on both ends and a dip in the middle. The “dip” is where the deer like to travel. This serves two purposes. One, it helps save energy because the climb isn’t as steep. Remember, deer are lazy. And two, mature bucks like to use saddles because it prevents them from being sky-lined as they travel. Additional pinch-points exist in big timber and are equally attractive to mature bucks. Some however are more easily found while actually walking the area on foot. These include small bench flats, old logging roads and even more difficult to see, small game trails. One buck in particular that I hunted for several years loved to use a very small trail to cruise a particular point looking for does. The trail ran parallel to the ridge top and was no more than a foot wide. However, it was situated on just enough level ground to provide easy walking and stealthy travel. A close friend of mine was fortunate enough to arrow this buck after a few years of cat and mouse. The fateful stand was hung near a doe bedding area and left alone until mid-November when my friend shot the buck as he cruised through the area looking for love. Perhaps the biggest mistakes hunters make when accessing these funnels is the manner in which they get to them. The most natural thing would be to take the easiest route possible to get to a treestand location. However, the problem is that most of the deer in the area will likely be doing the same thing. Walking the same route as the deer you are hunting is not the best way to fill your tags. That’s common knowledge but the mountains are tough and hunters sometimes cut corners and take the easy option. After all, a gentle climb is less taxing and doesn’t cause you to work up a game-spooking sweat. And, while that might be a good thing, the damage done by way of odor on the ground and noise in the direct area you are hunting will ruin any good chances you might have had. Most often, if you want to maximize your newly found funnel you’re going to have to take the path of most resistance. This will keep your disturbance to a minimum and allow you to hunt the area longer before burning it out. Be prepared to walk the rough terrain that borders your area or maybe even a steep backside hill in order to reach a gently sloping front side. It’s all about what you are willing to sacrifice in order to find success hunting mountain bucks. Topo maps are just one resource to use when it comes to hunting mountain bucks, but they are an important one. Don’t make the same mistake I made years ago and dismiss all of those curvy lines as nonsense. Get a topographic map of your hunting area and study it the way you would study a new piece of hunting gear. Consider all of the angles and characteristics. Then, suddenly, what was once a jumbled mess will begin to look like a crystal clear picture of the best stand locations your area has to offer.